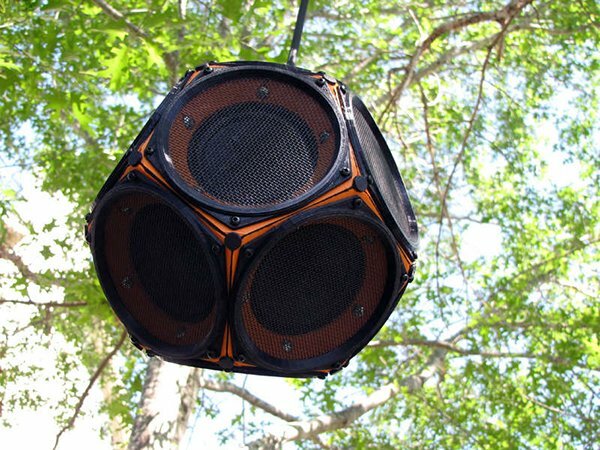 Who needs a disco ball when you can build a disco in a ball? 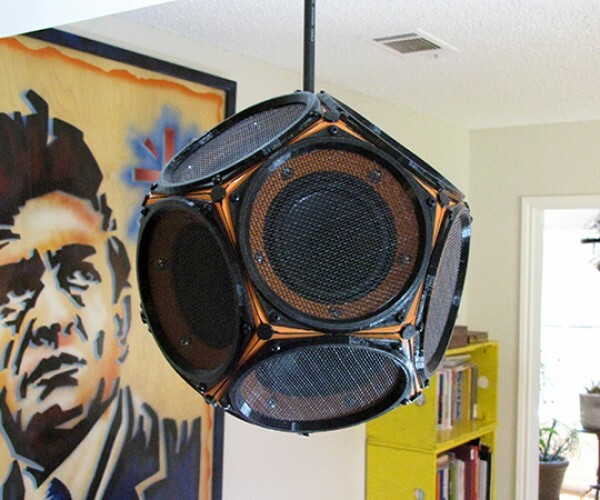 This dodecahedron speaker was built by Instructables member 60cyclehum, who was kind enough to share his build process online. 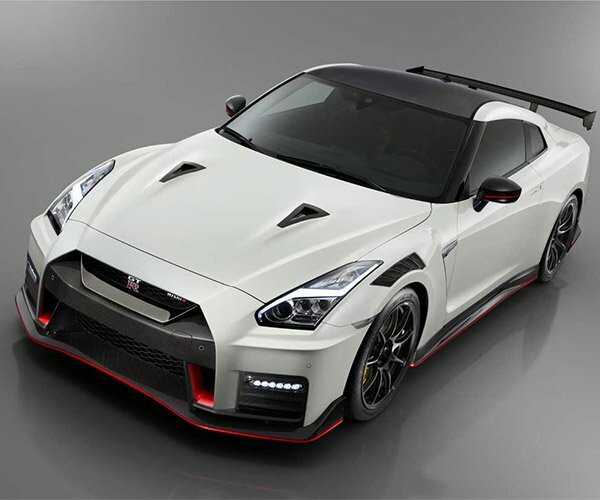 But it’s probably because he knows no one else can pull it off. 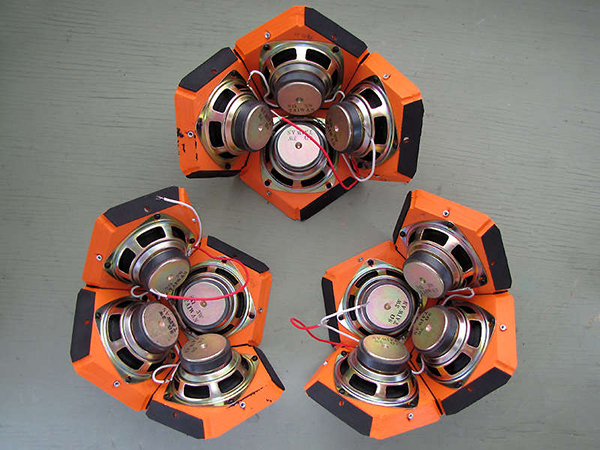 We featured a 12-sided subwoofer a few years ago, but that one cost $2,500 (USD) despite only having 10 subwoofers. 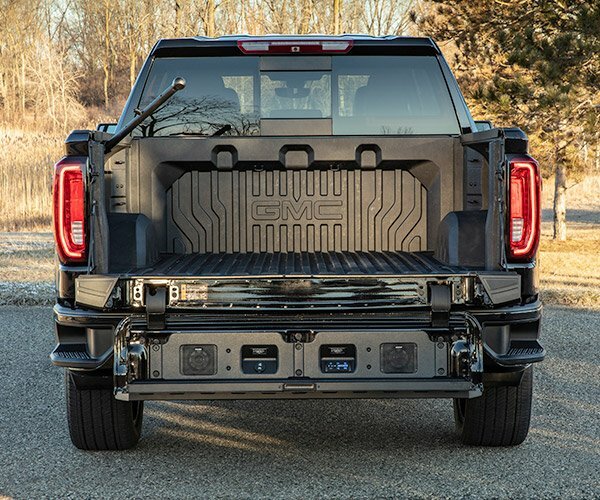 I guess you could say that that was… a loaded dice. 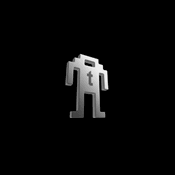 (YEAAAAAHHHHH) Ahem. 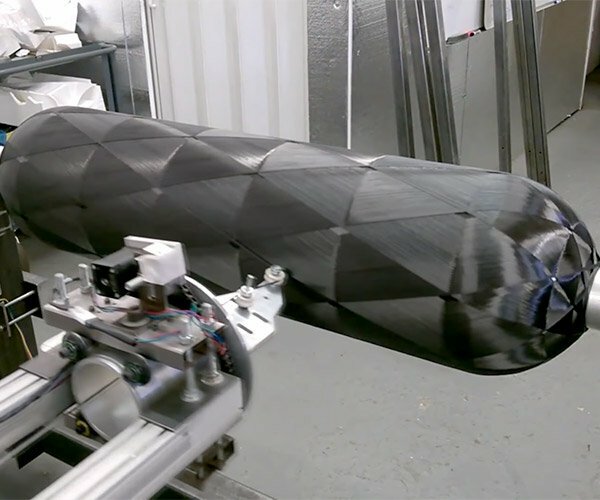 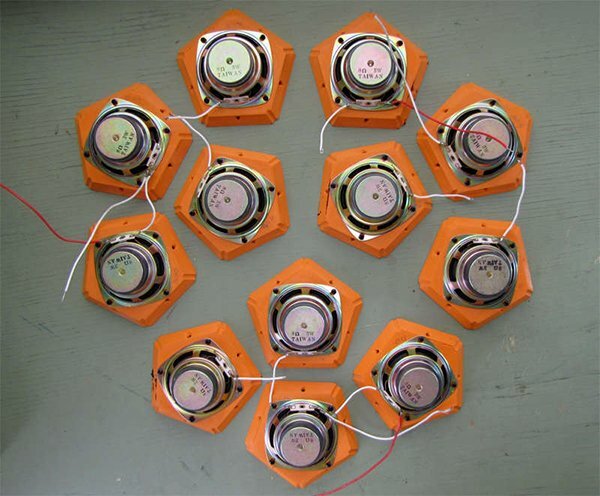 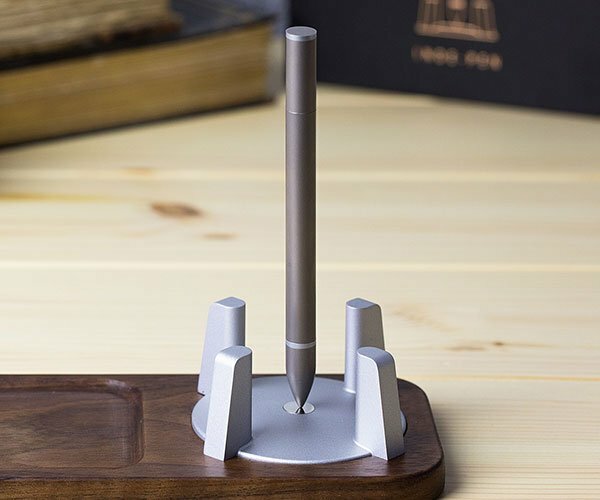 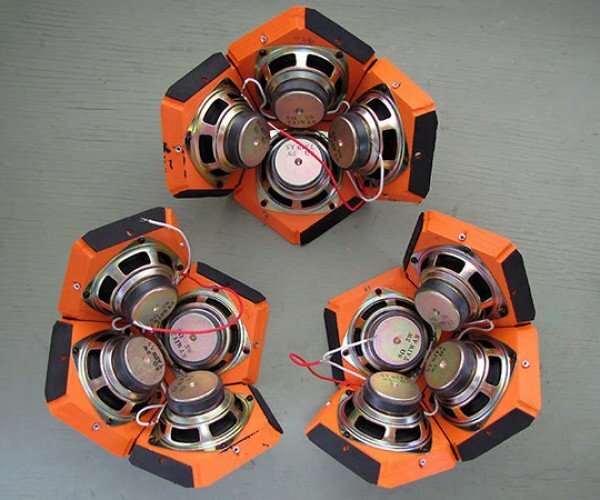 On the other hand, 60cyclehum was able to build a true 12-sided speaker for just $100 not only because his device is smaller and less powerful – each speaker is only rated at 3W – but also because he used a 3D printer to fabricate some of its parts. 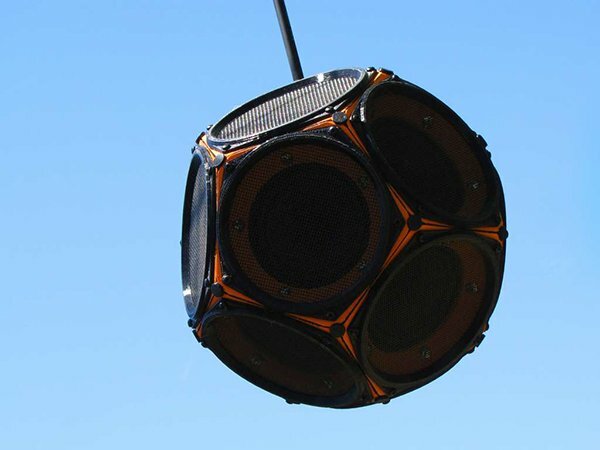 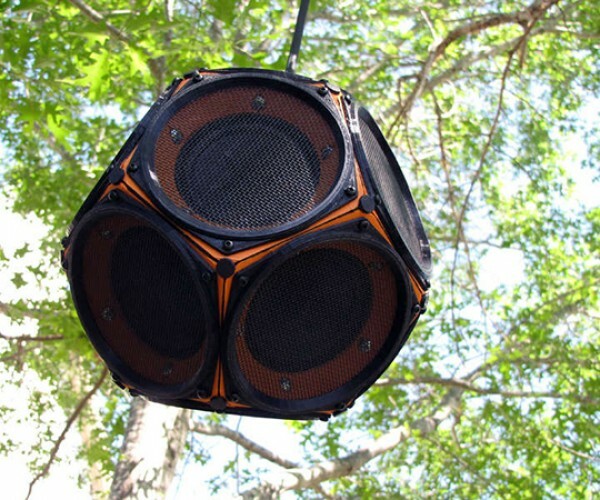 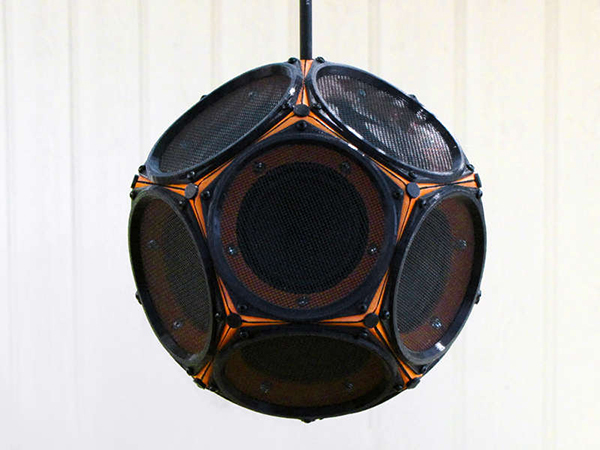 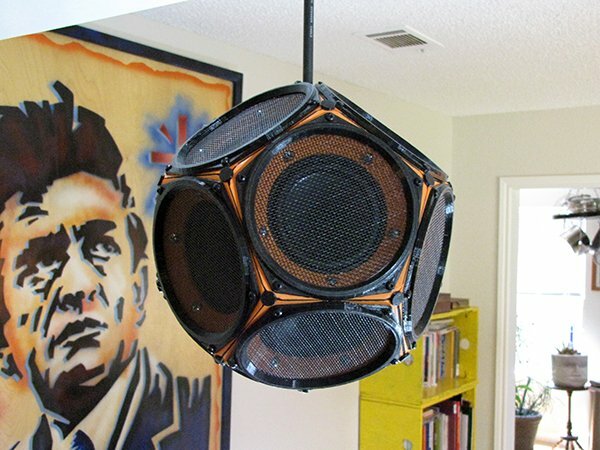 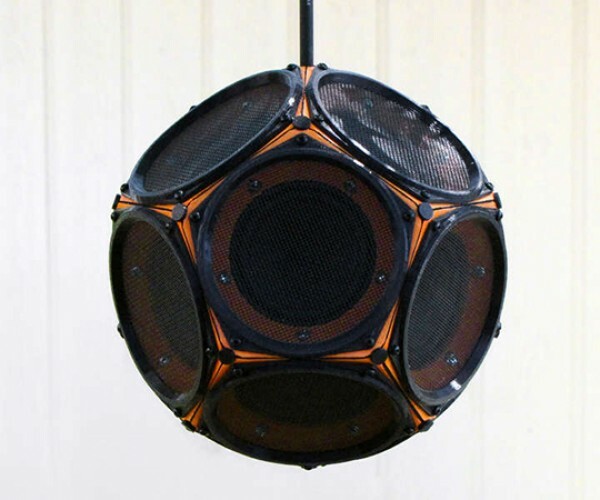 Head to Instructables if you think you have what it takes to roll your own dodecahedron speaker.